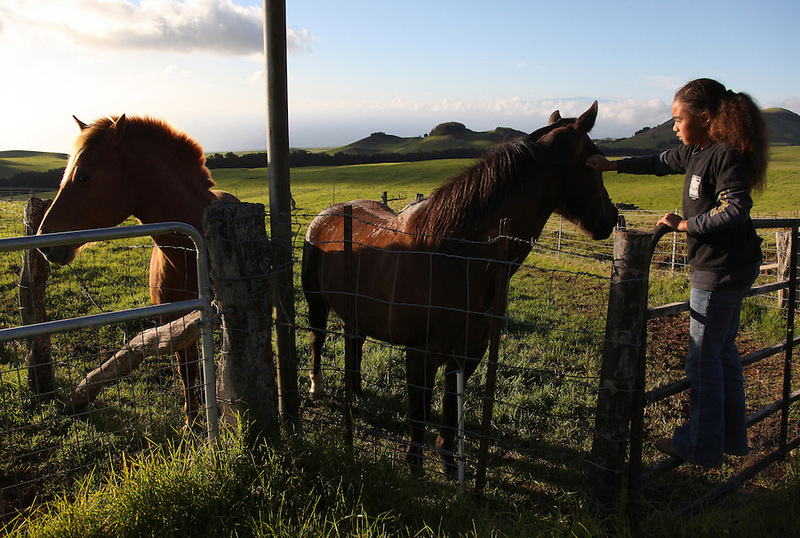 Kamehana Tachera, 11, pets one of the horses at Kahua Ranch in North Kohala, Hawaii, where her father, Wayne, is employed as a cowboy. The girls' great-grandfather, grandfather and father are or were all cowboys and they live in "cowboy housing" on the ranch. The girls learned to ride horses as toddlers and have grown up with the ranch as their playground. "It's very beautiful up here. Not many children get to see this lifestyle", says Kamehana who spends time caring for and riding horses after school.